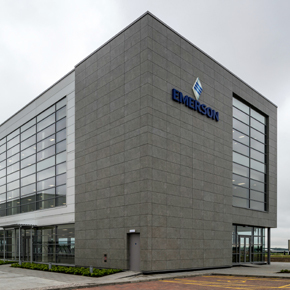 The Emerson facility is situated on the D2 business park, one of Scotland biggest mixed use industrial developments. Emerson is one of the biggest names in engineering services across a wide range of industrial and commercial markets. 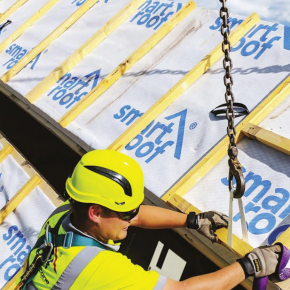 It’s new £20 million facility was built to replace its existing Aberdeen headquarters in nearby Kirkhill. The development comprises 2,600m2 of office space, a 3,065m2 service centre including meeting facilities and a customer collaboration suite. The premises can accommodate up to 200 Emerson personnel. The site’s development was overseen by Miller, with construction competed by main contractor Bowmer & Kirkland. 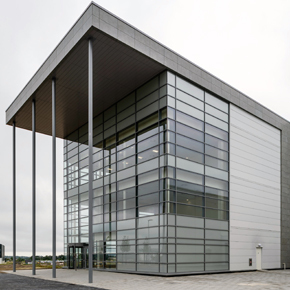 As it was important for the facility to achieve the thermal performance and efficiency requirements set out by current building regulations, CMS Window Systems was appointed to design, manufacture and install the facility’s curtain walling windows and doors. 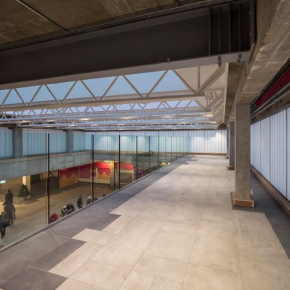 The solutions supplied by CMS were specified to enhance the efficiency of the building’s envelope, reducing heat transfer whilst allowing natural light to flood the facility. The company supplied aluminium curtain walling using Metal Technology’s System 17 to ensure that the building adheres to exacting thermal performance standards. The curtain walling features a continuous thermal isolator which provides a thermal break throughout the system. 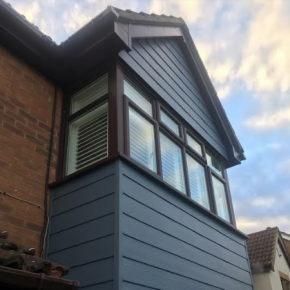 It also benefits from 6mm toughened Planitherm Ultra N glass used in conjunction with 16mm Swisspacer V warm edger spacers. 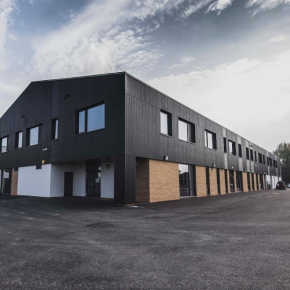 Since planning permission was approved in 2012, the D2 business park where the Emerson facility is situated has become one of the largest mixed use developments in Scotland – aiming to support industry with its versatile premises and convenient transport links. The D2 development achieved wider recognition at the end of 2015 having been named a finalist for the Architectural Excellence Award (Commercial Buildings) in the 2016 Scottish Property Awards.